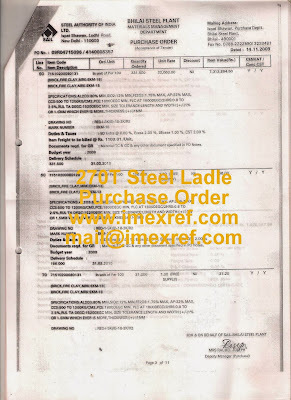 Working Lining Specification: 80% Bauxite Based Alumina Bricks. 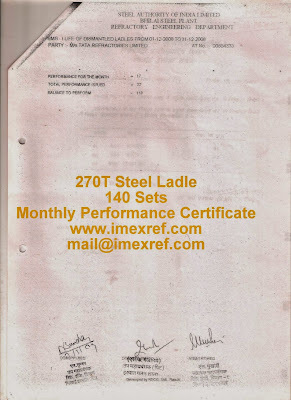 Ladle Re-Lined/Month: 40 Ladles min. 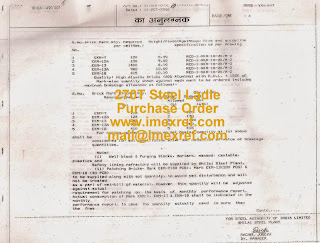 With Same Brick Dimension but in Basic Brick, Our Principal Accepted the Challenge of improving Shop's Ladle Life. 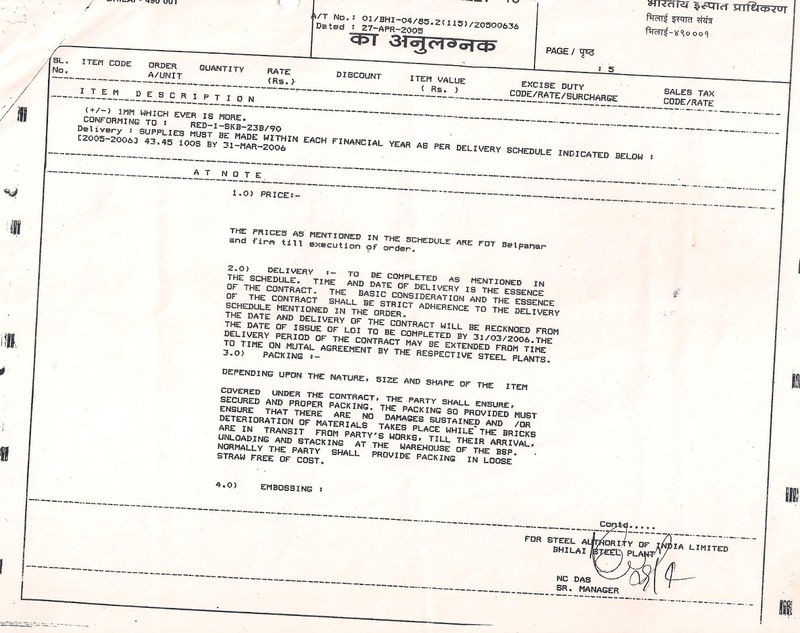 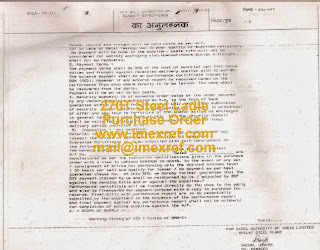 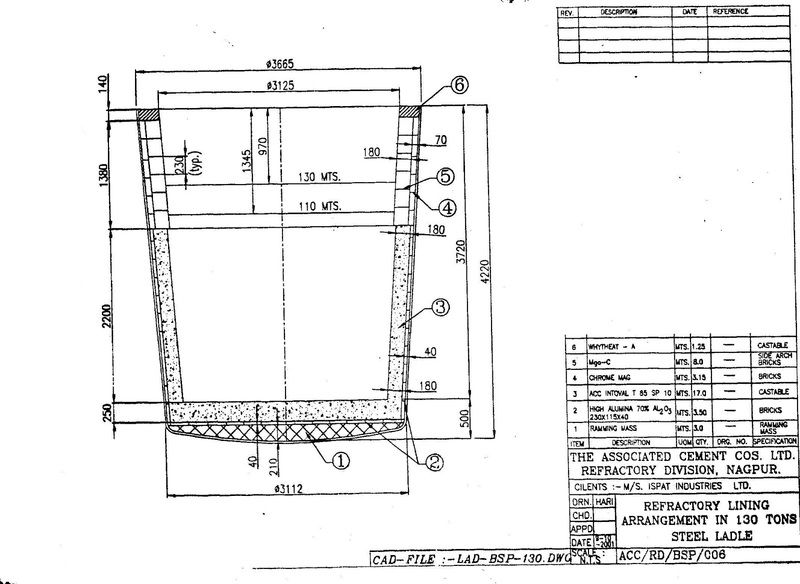 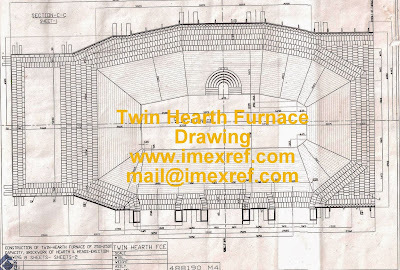 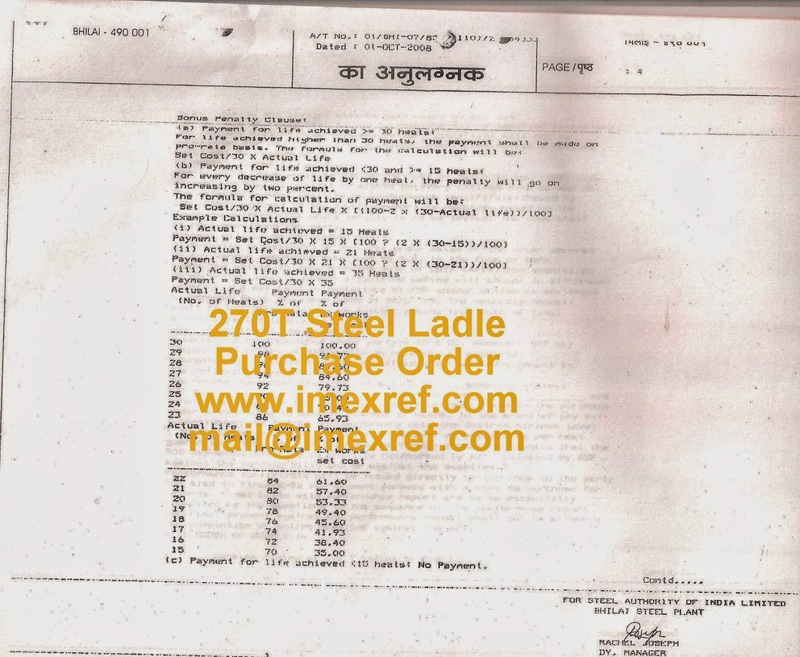 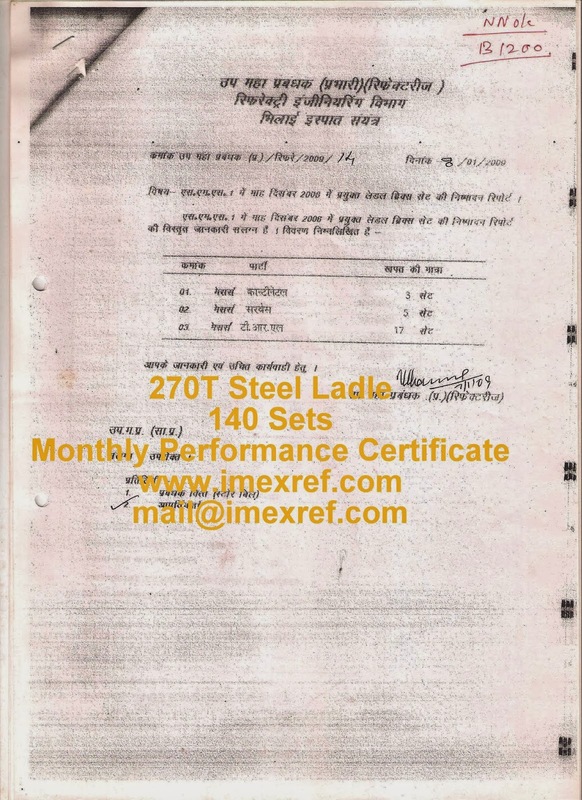 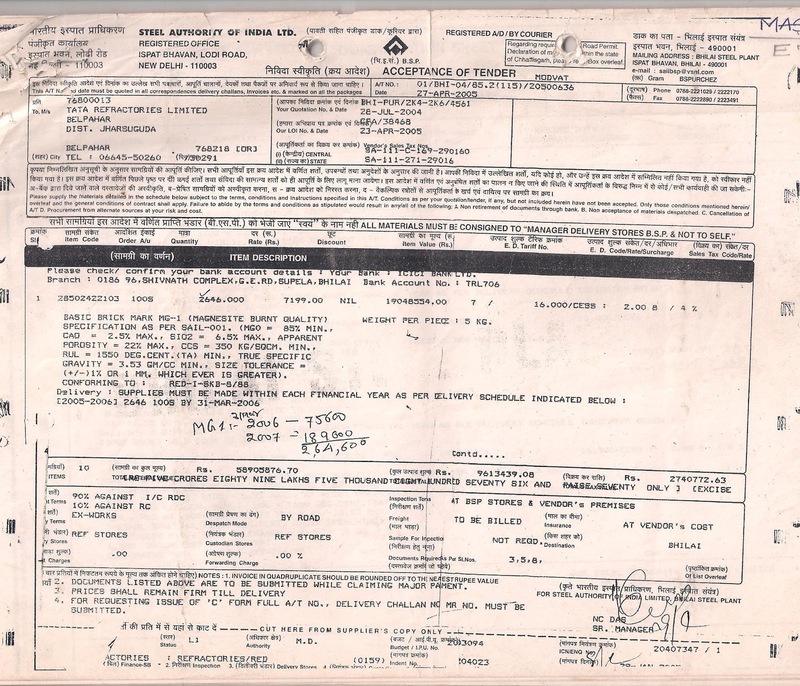 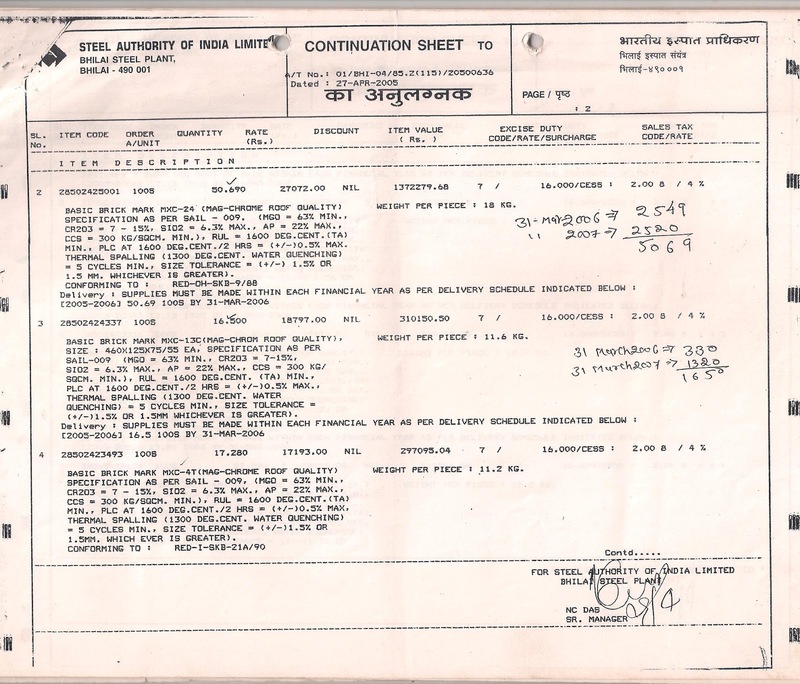 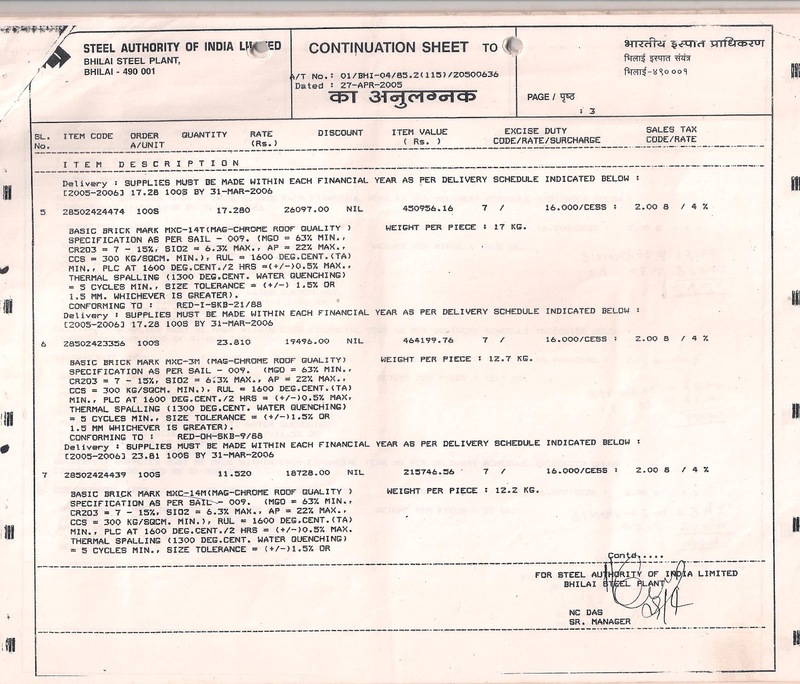 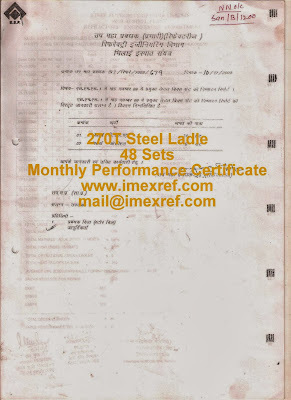 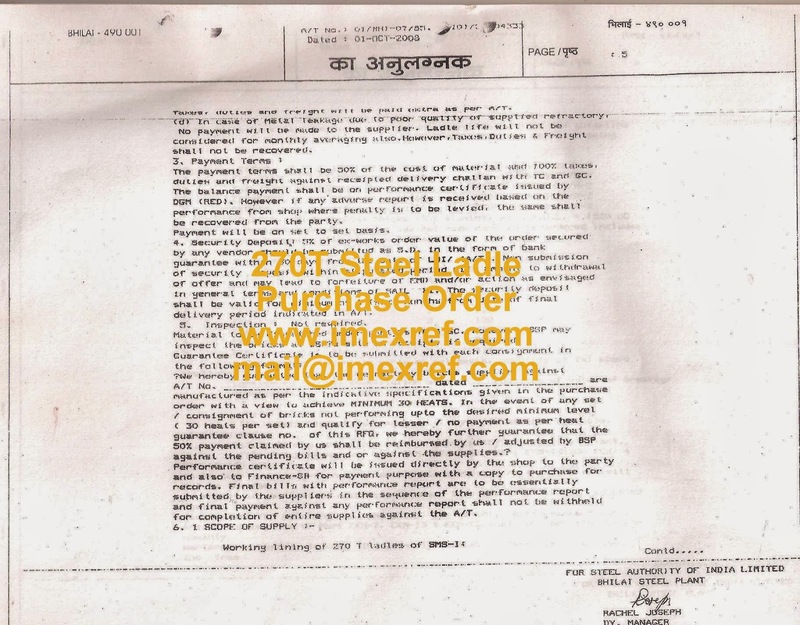 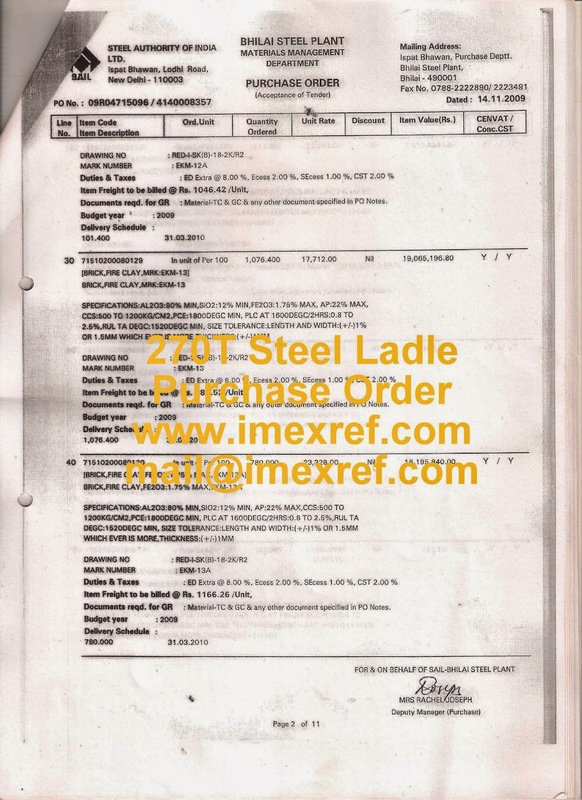 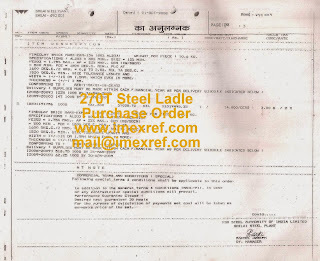 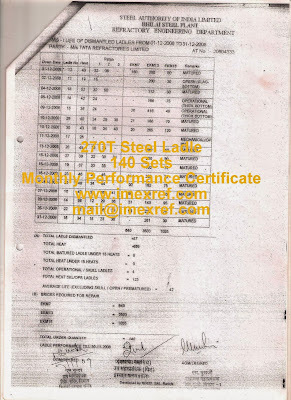 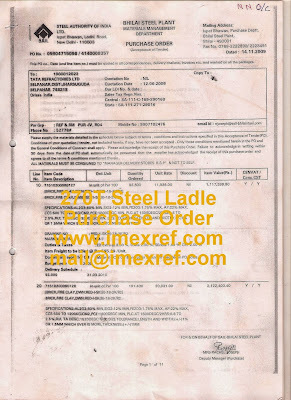 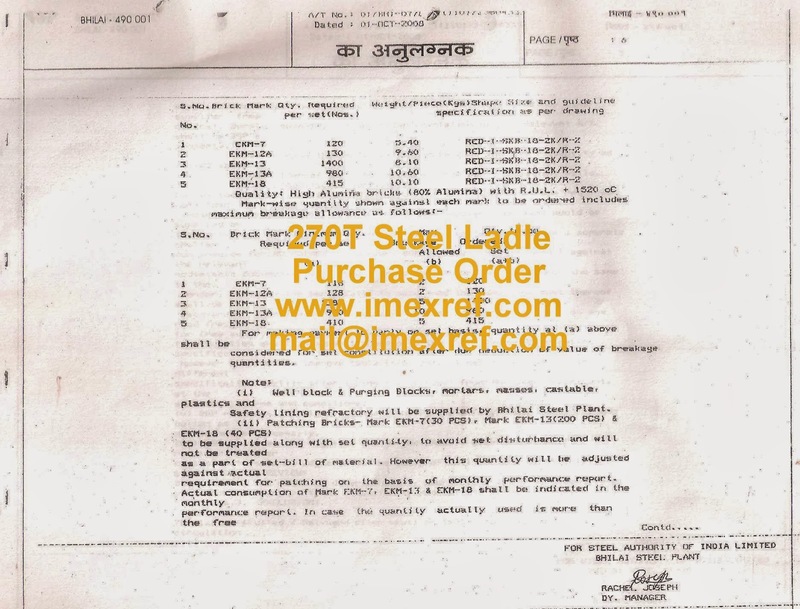 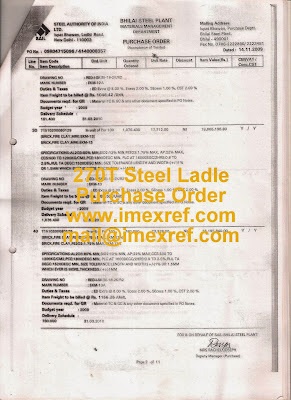 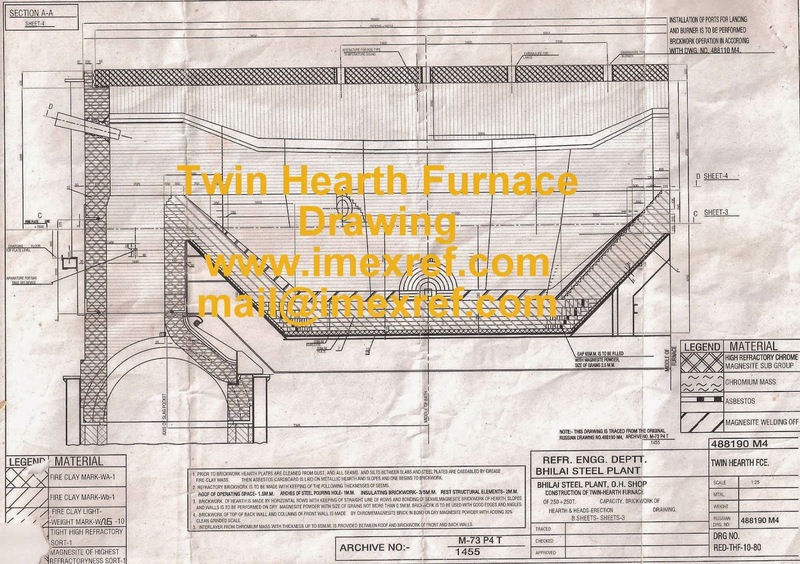 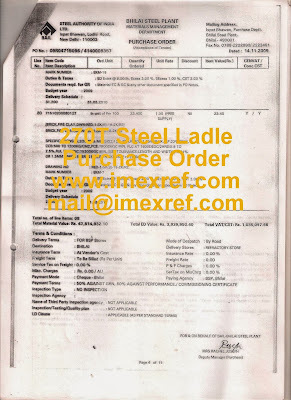 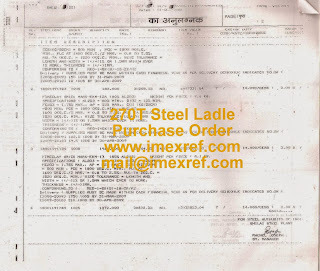 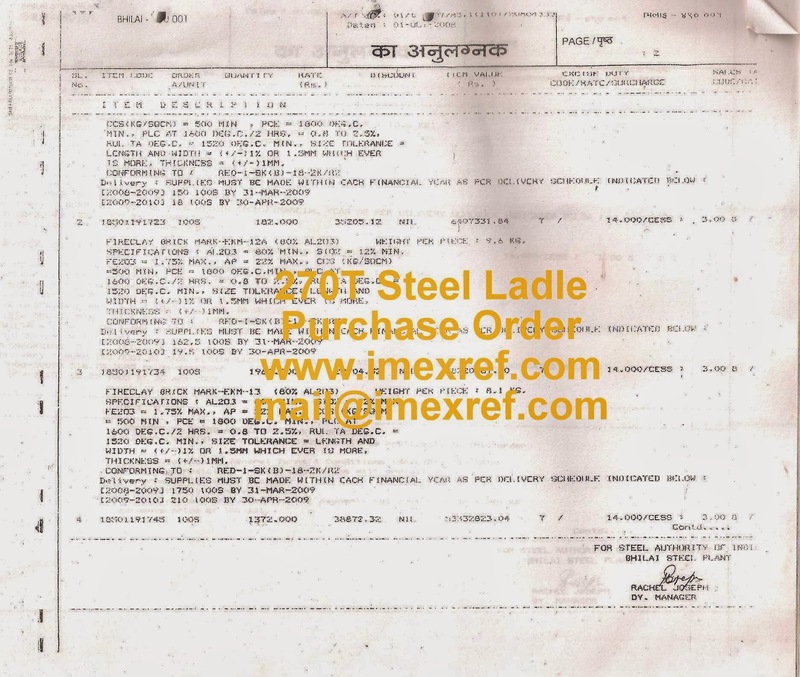 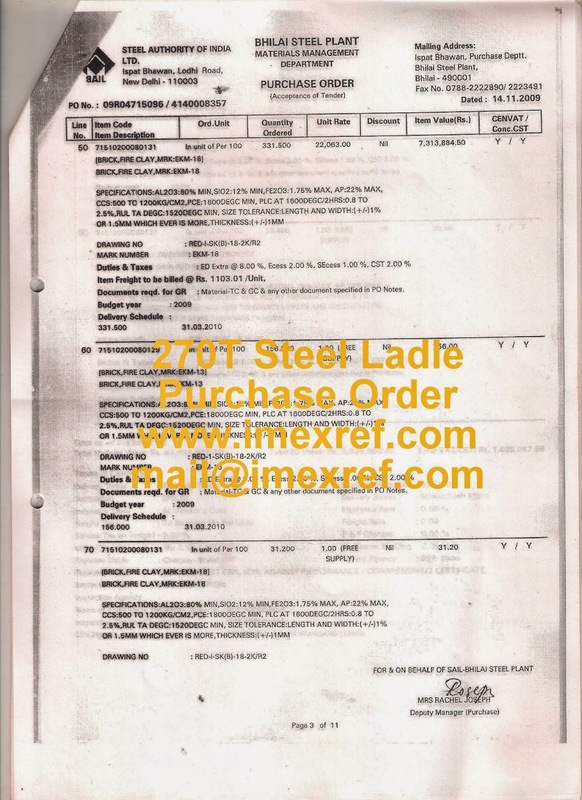 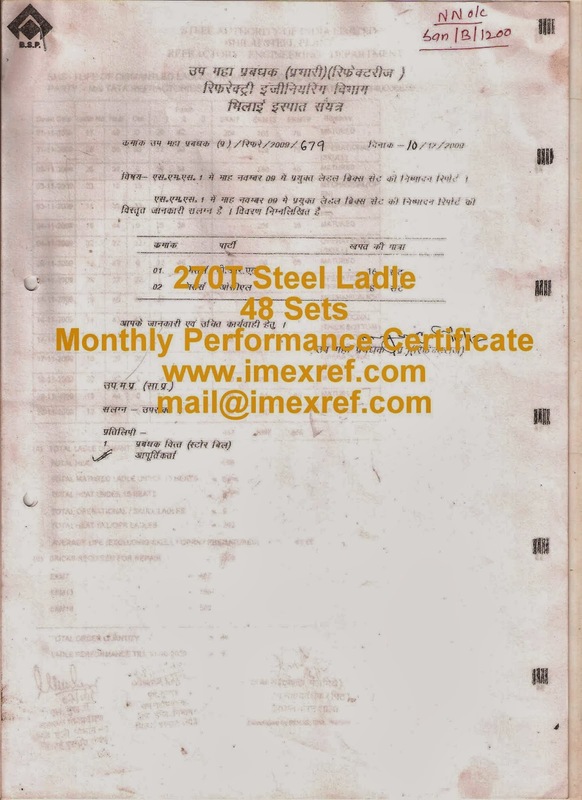 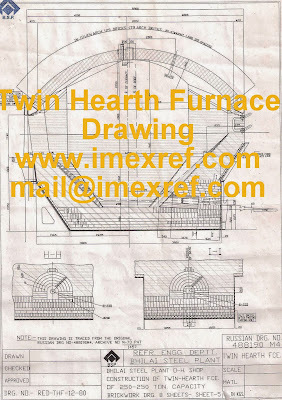 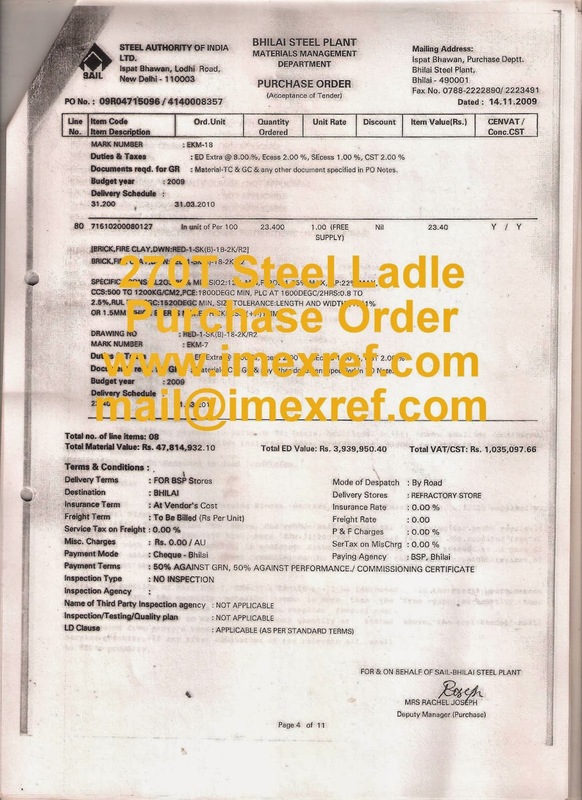 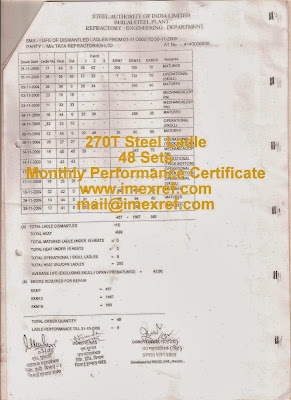 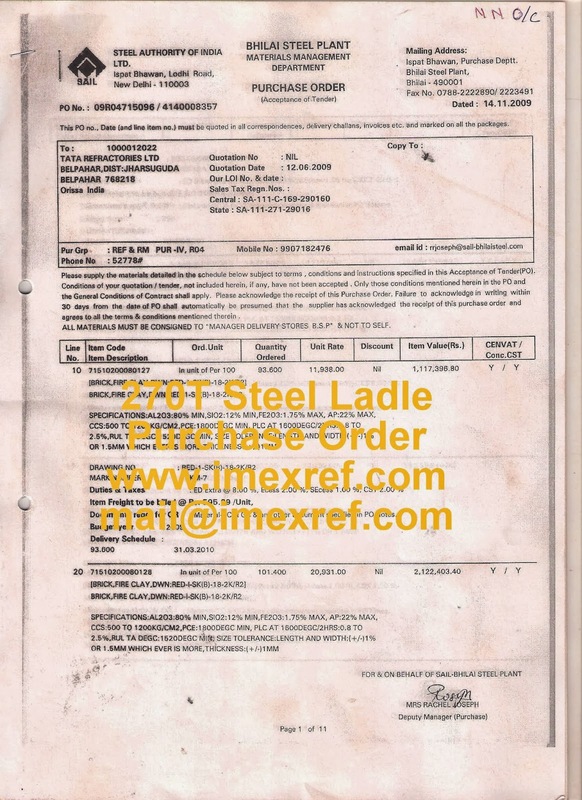 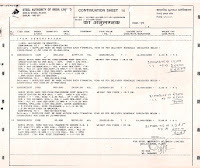 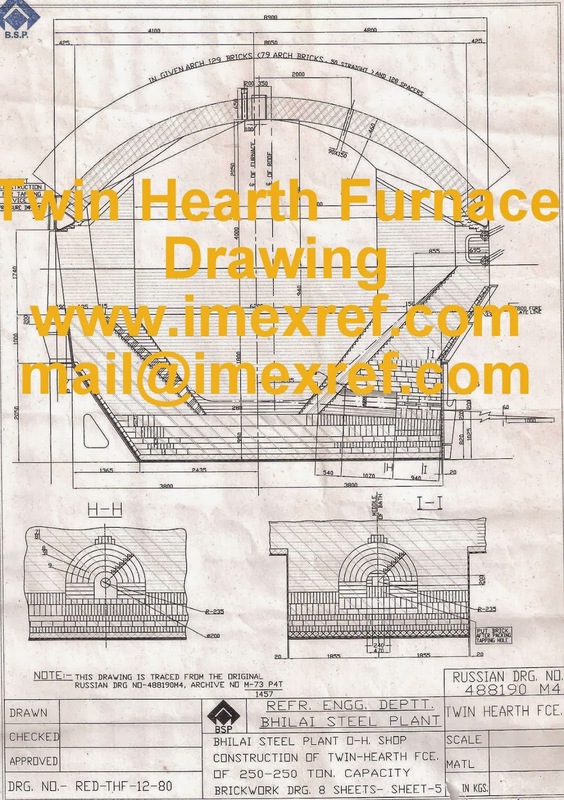 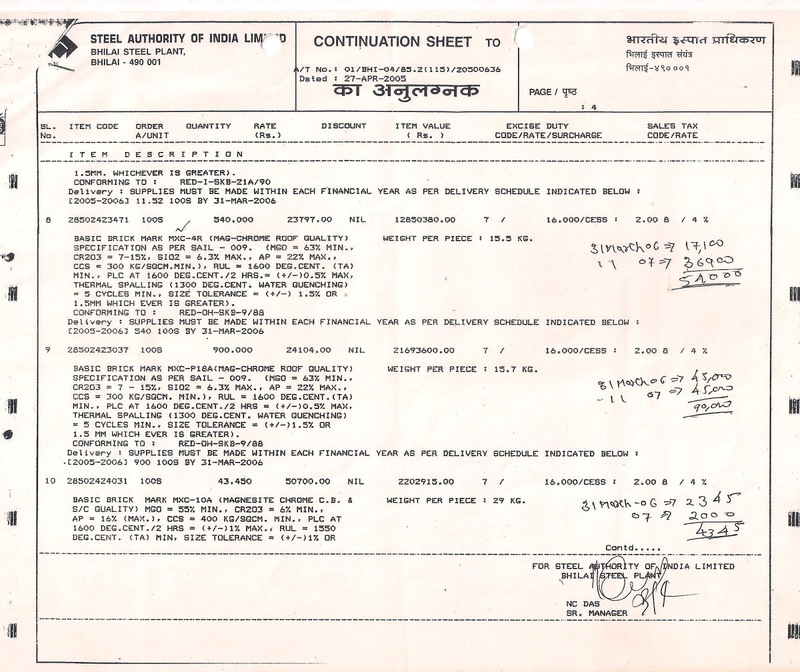 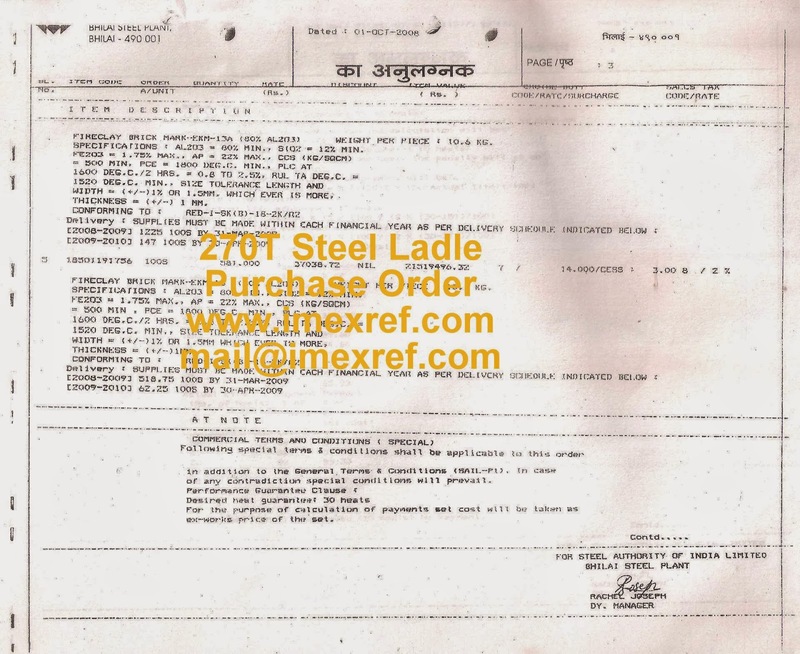 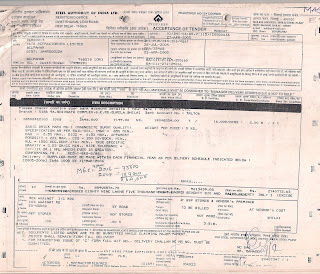 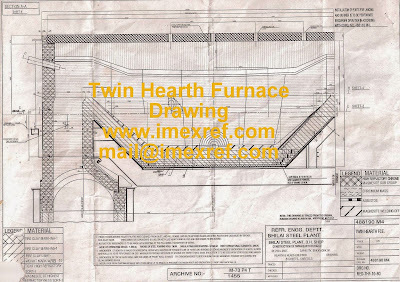 Purchase Order Accepted: for Supply of Basic Bricks to 270T ,Steel Ladle, SMS-1, M/s Bhilai Steel Plant, for Working Lining with Heat Guarantee of 30 Heats & in Bonus/Penalty Clause (No Payment for Less than 14 heats). 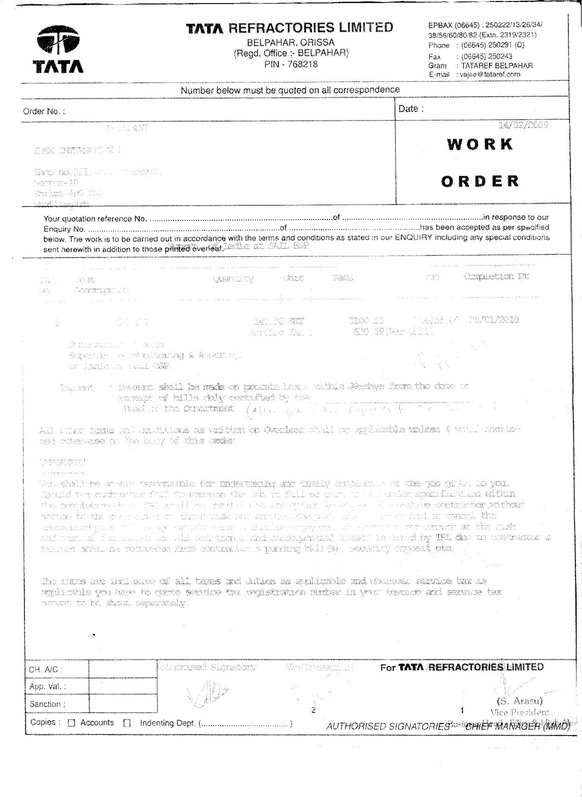 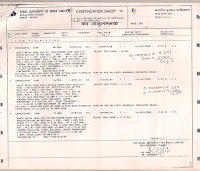 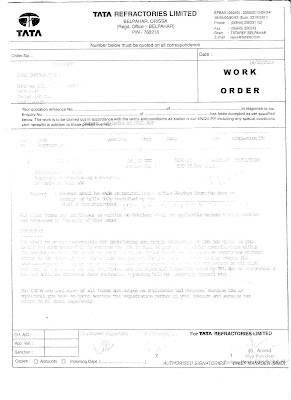 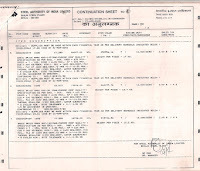 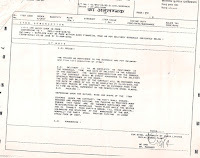 Supervision of Order Execution was awarded to us (i.e. 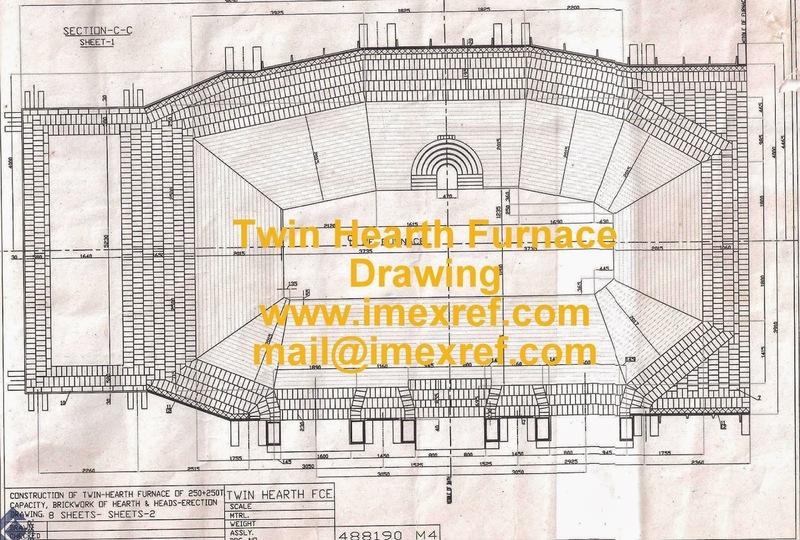 IMEX INTERNATIONAL, Bhilai) by M/s TATA REFRACTORIES LTD, Belpahar. 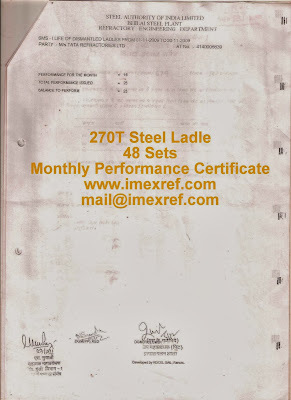 Average Monthly Ladle Life: 42 Heats from 28 Heats avg. 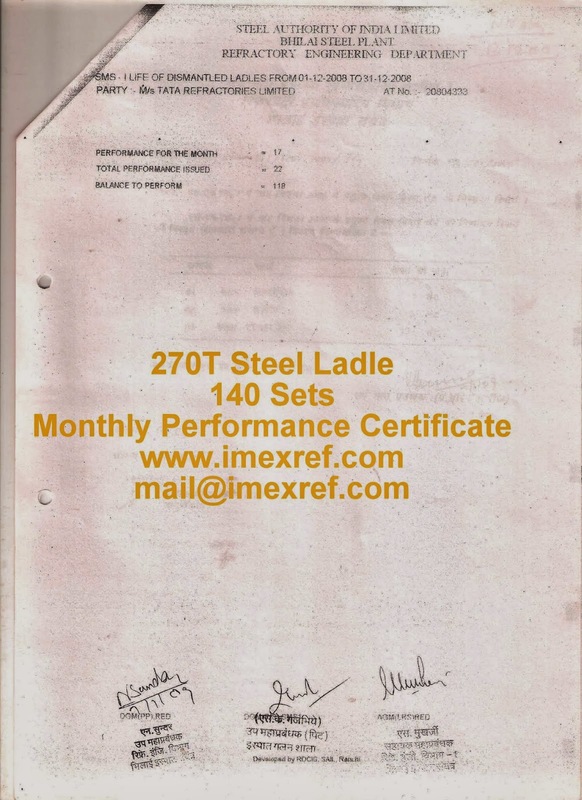 Ladle Re-Lined/Month: just 25 Ladles/Month from 40 Ladles/Month. 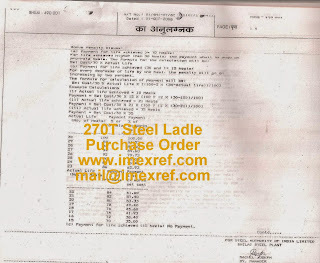 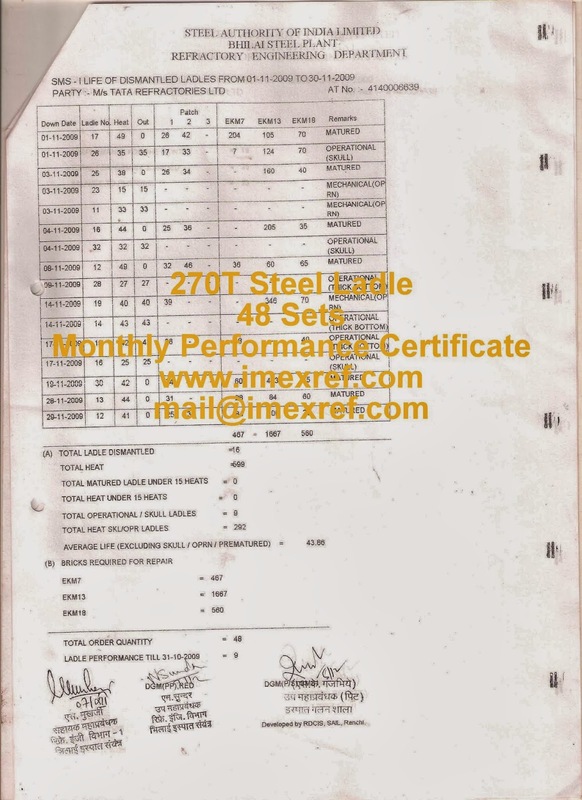 On 7th Dec 2008: Ever-Highest Ladle Life of 52 Heats Achieved.